SOLD-OUT. 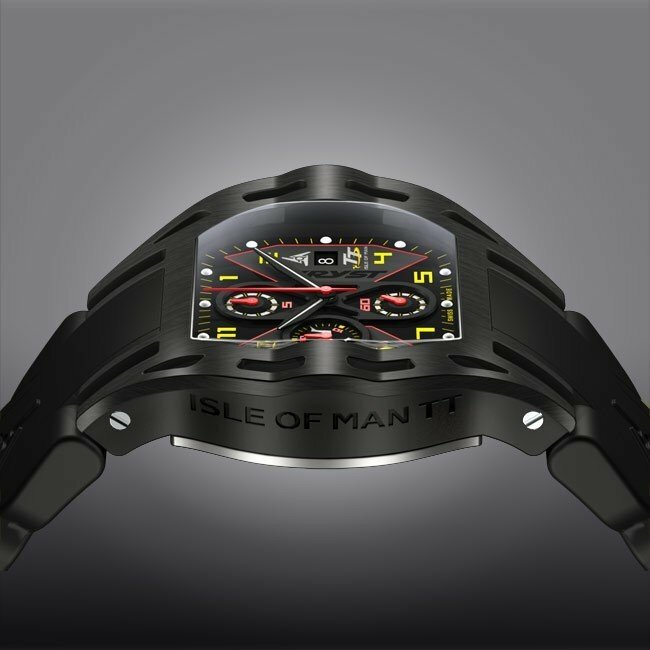 The Swiss watch WRYST ISLE OF MAN TT is inspired by motorsports and produced in limited quantities. 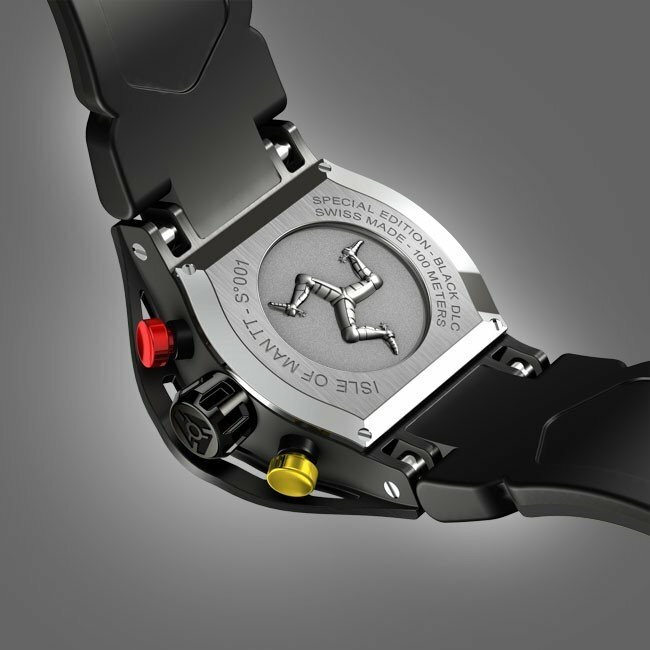 The Swiss watch brand Wryst official timing partner of the Isle of Man TT celebrate the world's greatest motorbike and sidecar championship, the Tourist Trophy. Dedicated to avid racers pushing their machines to the limits. 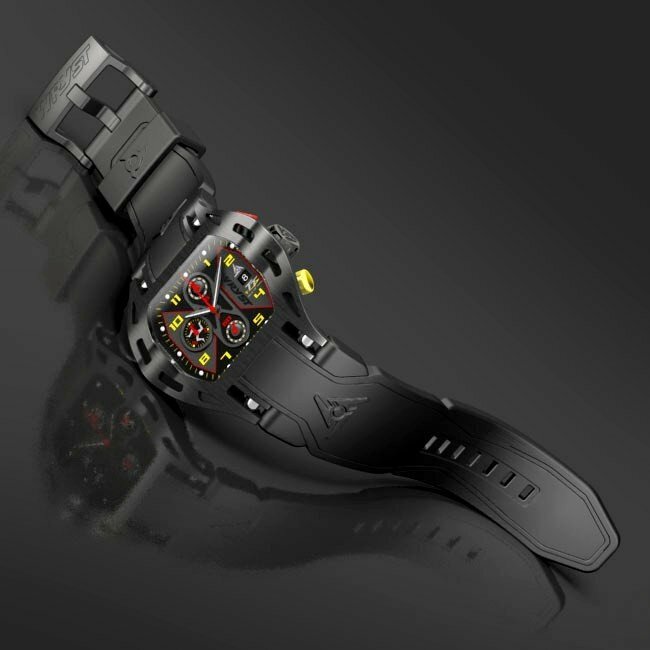 Swiss watch brand Wryst offers the ultimate sportive black watches with the strongest materials. 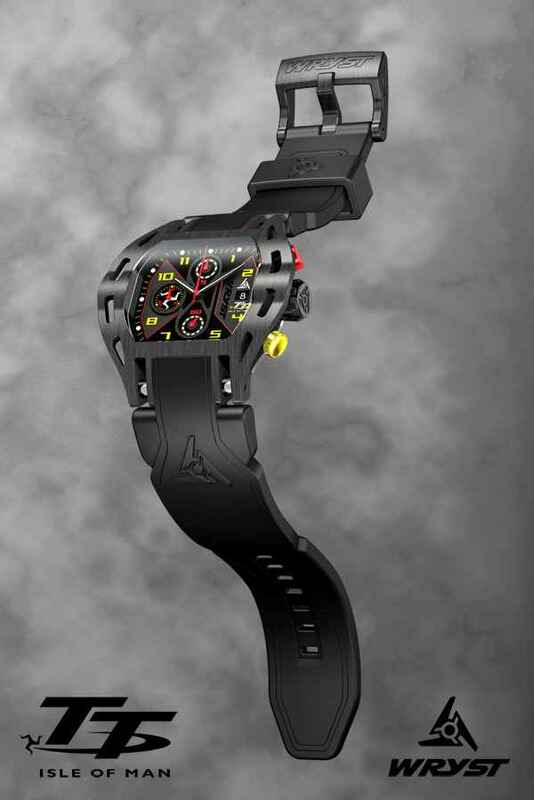 Used in F1 race cars engines and aerospace, the black DLC technology provides incredible hardness attribute that only diamond can scratch. 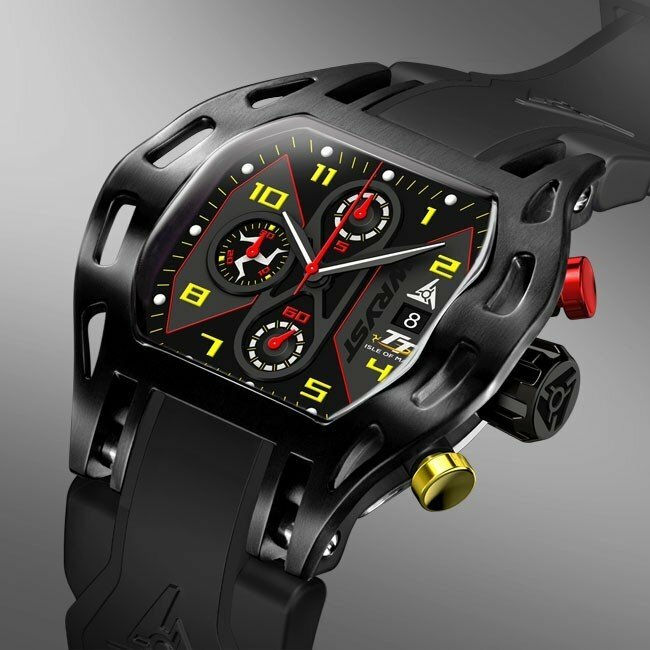 The "K1" crystal is a tough and Ultra resistant material more scratch proof than mineral crystal, and also more shatterproof than sapphire. Je suis très satisfait de mon achat. 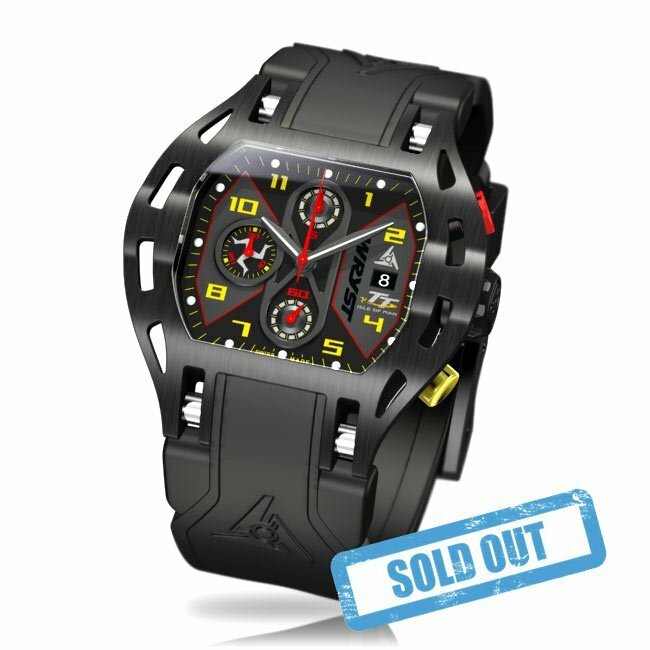 Ç'est une montre d'une grande qualité de fabrication. Son design est vraiment au top et j'ai hâte de la montrer à mes collègues. Par ailleurs le site est très réactif à toutes les demandes de renseignements sur les produits. À conseiller ..